Residential, automotive, or commercial ~ the truth is, keys and locks play a big part in our personal and business lives, throughout the day and night. We usually don’t give it a second thought...until that one time...when an emergency comes up. It’s almost always exasperating, and never convenient. There are numerous ways, however, to keep yourself secure, so you can avoid many of the hassles with locks and keys that can occur. If your key won’t turn, don’t panic. Sometimes the pins get jammed up. 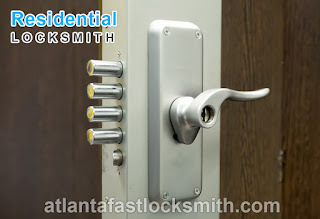 You may not need a locksmith at all if you simply try spraying the lock mechanism with WD-40 or silicone spray. Although not always, many times this will solve the problem, so it’s worth a try. Replace your keys periodically. We subject our keys to quite a lot of abuse, as they’re thrown around a lot and kept who knows where. Plus, we use them every single day. So if you notice that your keys are starting to wear down, or if you see any damage to your keys whatsoever, make a new key, and be sure to toss out the old ones. General lubrication. Twice a year, apply a silicone-base lubricant spray to the keyholes, or anytime you notice any grinding or excess friction. Haste makes waste. Don't hurry with your keys! If you do, you may find yourself completely stalled in your tracks, because you’ve broken your key off in the lock! Take that few extra seconds with your key, and you’ll save yourself a lot of grief in the future. If you are unfortunate enough to have your key break inside the lock before you shut the door, you won’t be able to lock it, which will leave your home, place of business, or vehicle vulnerable to burglary and theft. If you break the key off in the lock mechanism after you’ve closed the door, you will probably be unable to open the door again. Of course, a broken key can also cause damage to the lock. If part of the key is stuck inside of the lock, and there’s still a little bit of it sticking out, you might be able to get it out yourself. If there’s enough of the key sticking out, you may be able to pull it out with your fingers or a pair of needle-nose pliers. Still, if there’s any damage, it’s time to call an expert locksmith. If you can’t see any part of the key sticking out of the lock, it’s risky, because you may cause damage, but it could still be worth a try: Use a flathead screwdriver ~ it has to be small enough to fit into the keyhole. Pry the key inside to the point where it comes out of the lock just a tiny bit, and then you may be able to remove it with your fingers or pliers. For whatever reason, depending on your living situation, if you’re feeling particularly vulnerable at your place of residence or at your business, there are many ways to allow yourself peace of mind. Expert locksmiths recommend deadbolts. 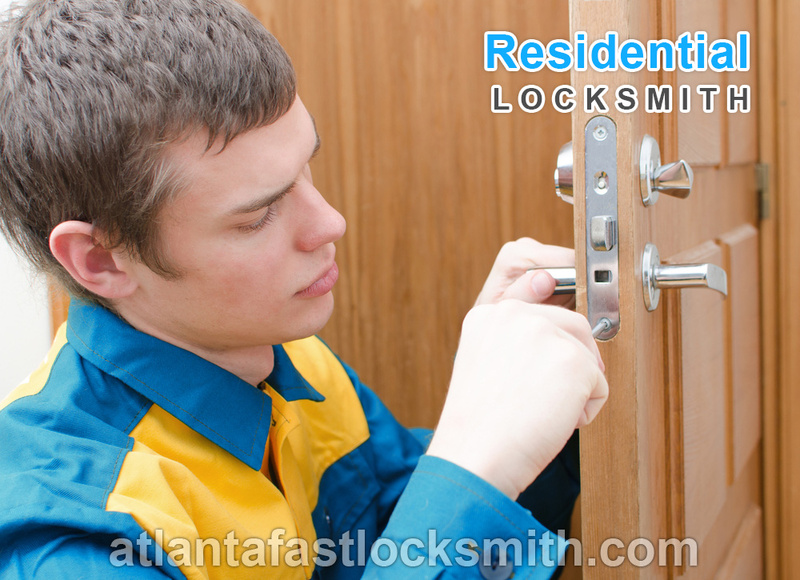 Make sure your deadbolts are properly installed. It should have at least a 1-inch throw. On the strike side, there should be a security plate with screws at least 3 inches long that goes all the way into the door’s wooden frame.Also keep in mind that if you have a window on or near the door, a thumb-turn deadbolt isn’t going to do you much good, because a thief can knock out the glass, stick a hand in, and turn. To prevent this from happening, get a double-cylinder lock that requires a key on the inside. use only reputable premium-quality brands, at least a grade 2. When Is It Absolutely Time to Change Your Locks? · New roommates or tenants. If you rent out space in your home or apartment, or have any rental properties of any sort, you must replace locks every time you change occupants. Even if the last tenants gave back their keys, you can’t be completely certain that there aren’t extra copies out there. · A new home. If you’ve just moved into a new place, change the locks right away. The same rules that apply to your rentals apply to your residence. You simply never know who may still have an old key. Lost keys. If you really and truly have lost your keys, then your locks should be changed soon as possible. You don’t want a stranger to have access to your home without your knowing it. After a break-in. All outdoor locks, which would allow an intruder access, ought to be replaced immediately. After that, replace any inner locks in your order of personal security priorities. Of course, there are times when a professional locksmith is truly needed. 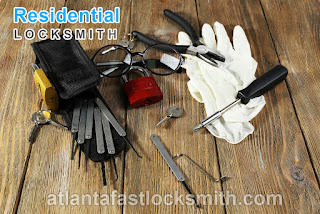 If you’re anywhere in Atlanta, Georgia, the good news is, you’re able to hire Atlanta Fast Locksmith, which is open 24 hours a day, 7 days a week, to get you out of trouble. There are numerous ways, however, to keep yourself secure, so you can avoid many of the hassles with locks and keys that can occur.